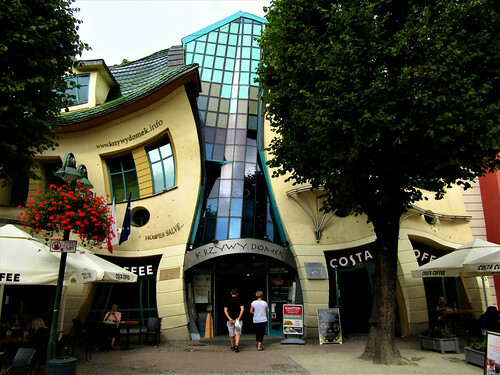 The Crooked House (Krzywy Domek) is the most popular and most photographed landmark in Sopot, Poland. This famous building from 2004 is part of the Rezydent shopping center which is 4000 m2 big. 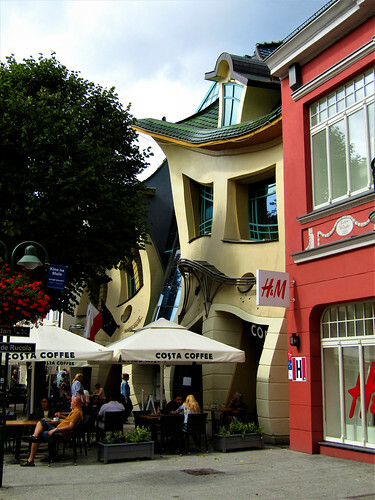 Krzywy Domek was designed by Polish architects Szotyńscy & Zaleski and was inspired by the fairytale illustrations of Jan Marcin Szancer and drawings of Sopot resident Per Dahlberg. Location: Bohaterów Monte Cassino 53, 81-767 Sopot, Poland.